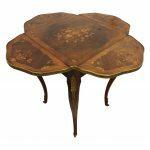 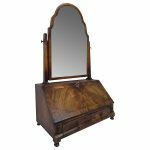 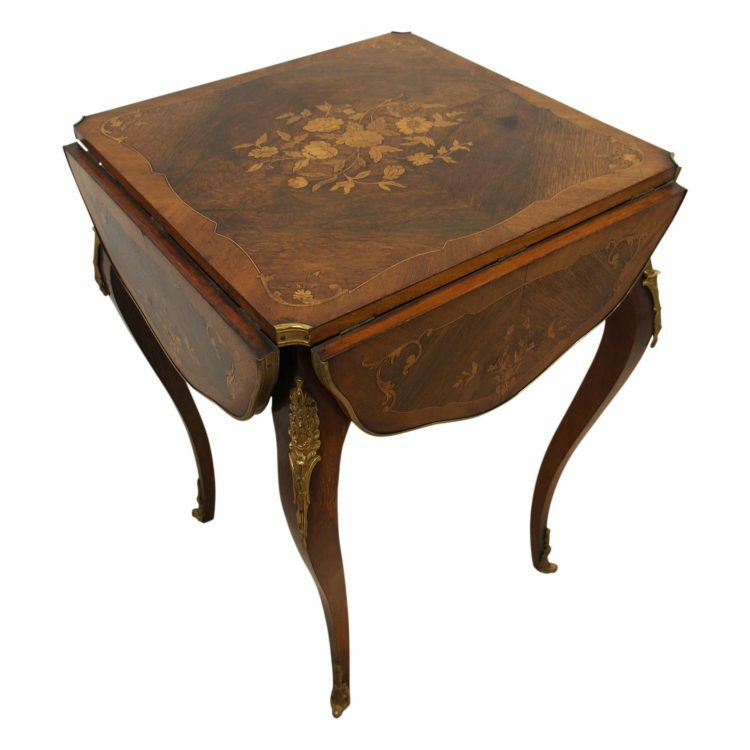 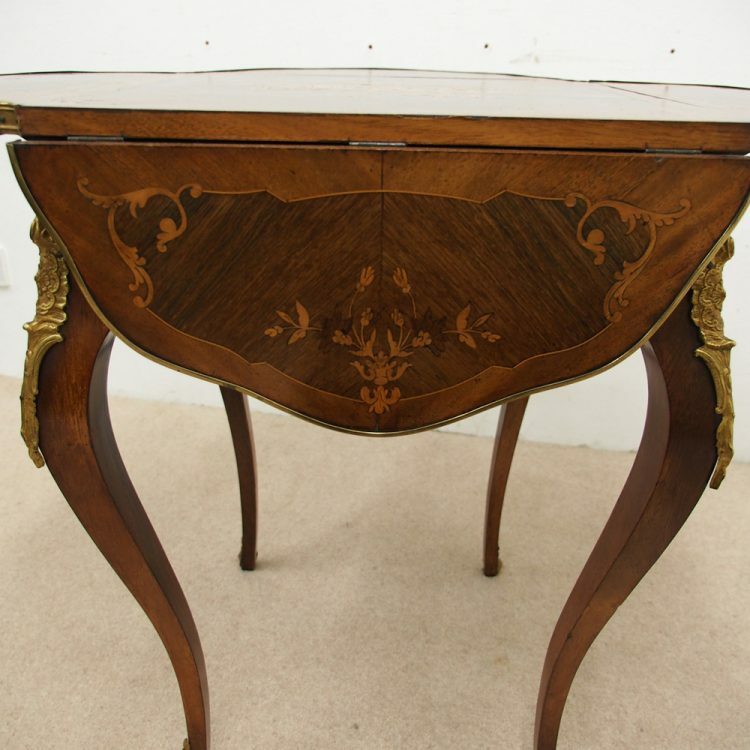 Circa 1890, late Victorian walnut and marquetry inlaid folding card table. 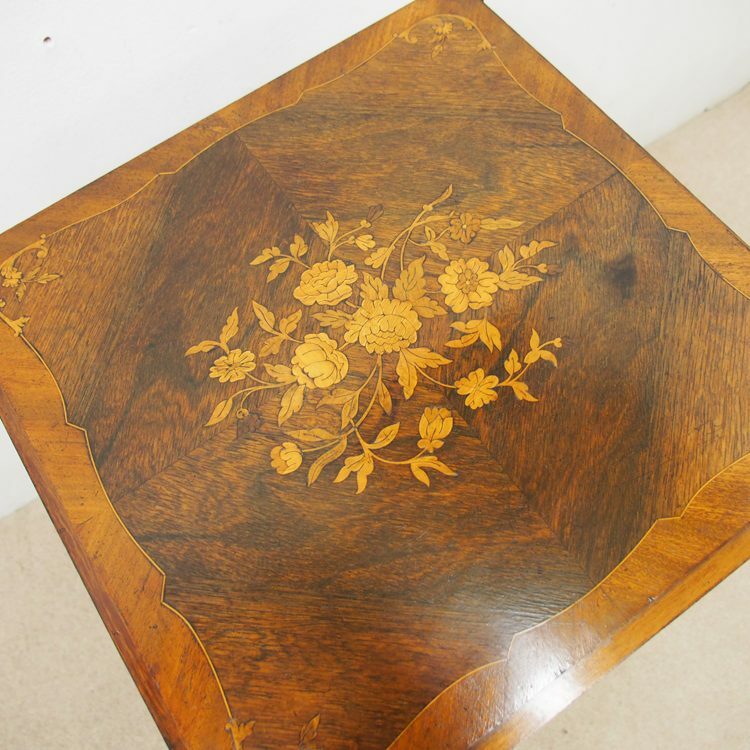 With boxwood banding forming a shaped top and quarter veneered rosewood with floral marquetry panel to the inside and in the centre. 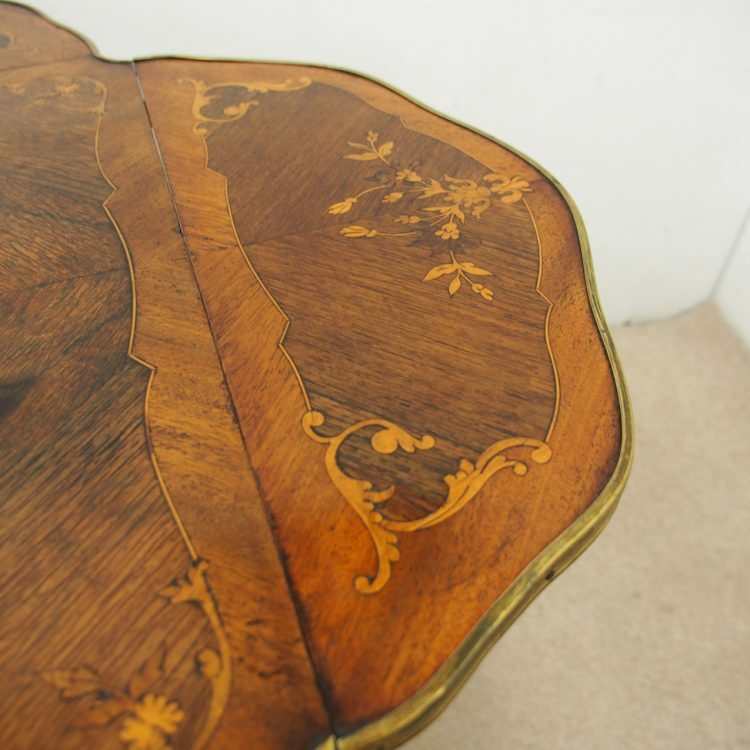 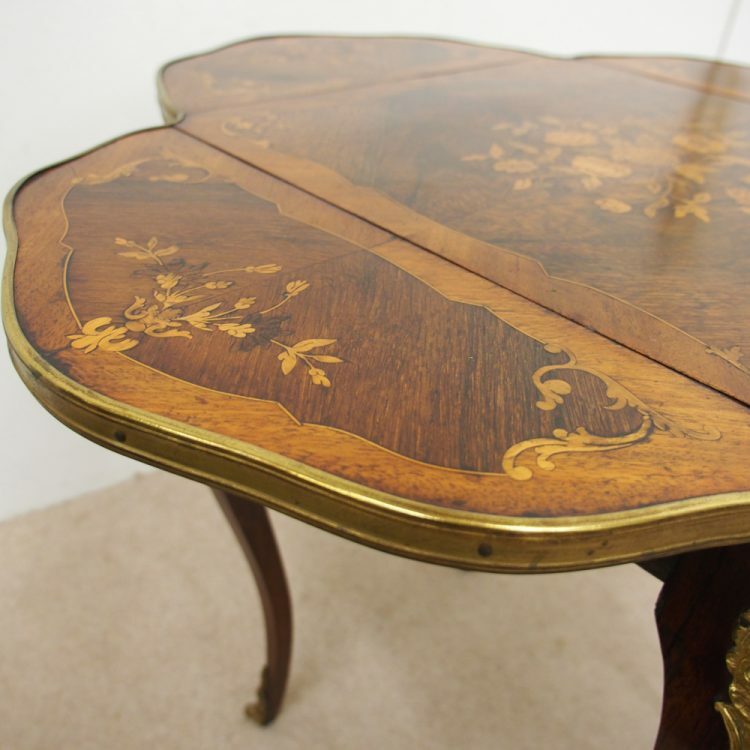 There is further marquetry at the sides and the corners are canted and have ormolu mounts. 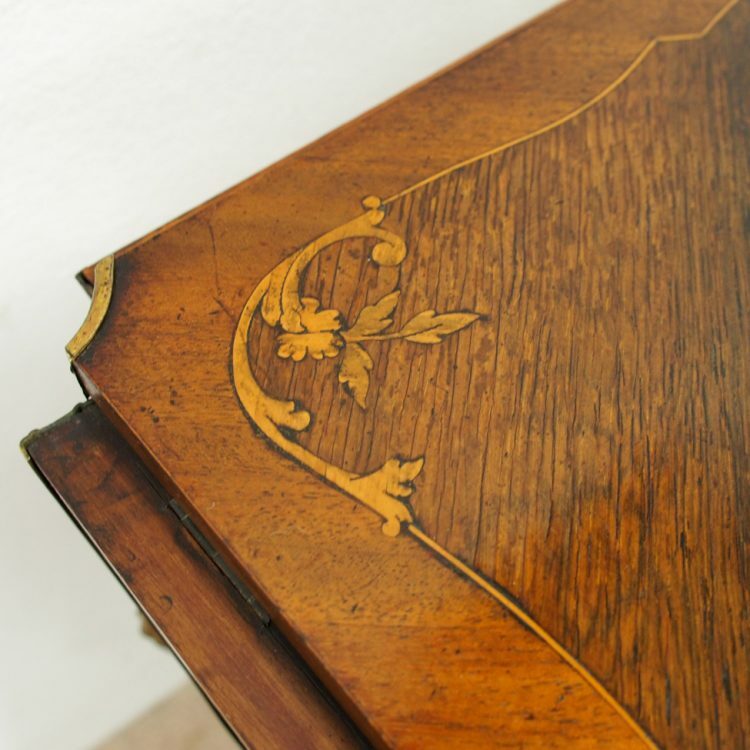 There are 4 drop down leaves to the sides and the leaves are shaped with similar inlay to the top and also with marquetry panels. 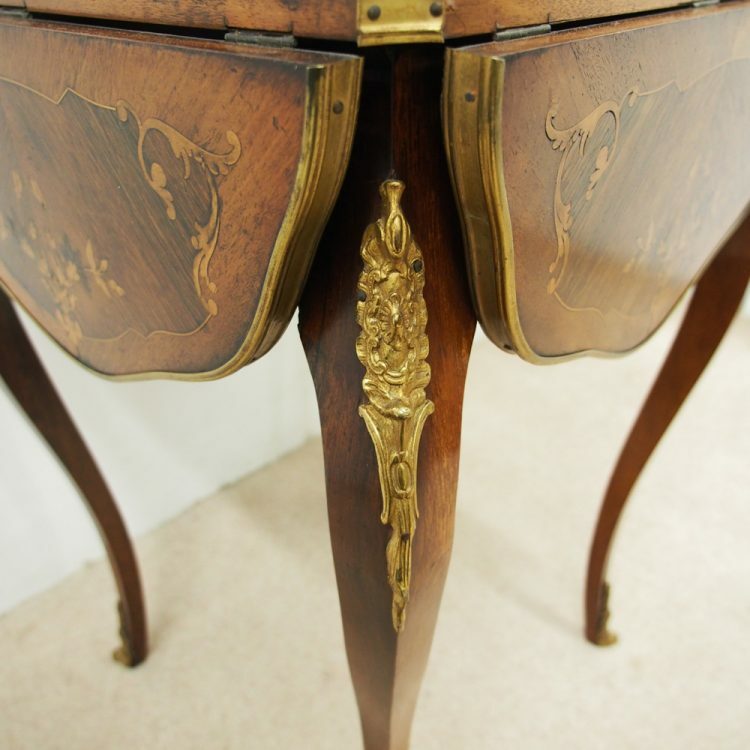 When the 4 leaves are up the gilded brass mount continues around the entire top, marrying up with the cut out sections. 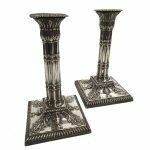 The table stands on 4 elegant and elaborate cabriole legs with cast mounts to the top and stylish rococo sabots at the base.